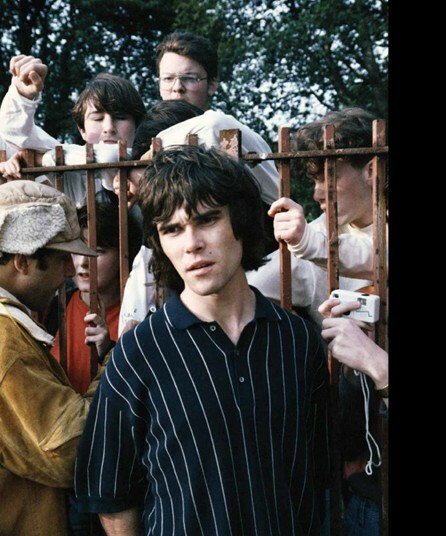 Photographer DENNIS MORRIS has released This Is The One, a 200 page photo essay chronicling the rise of The Stone Roses. It documents the inception of the four piece band, from their formation in Manchester in 1984 to the establishment of their place in British music history. 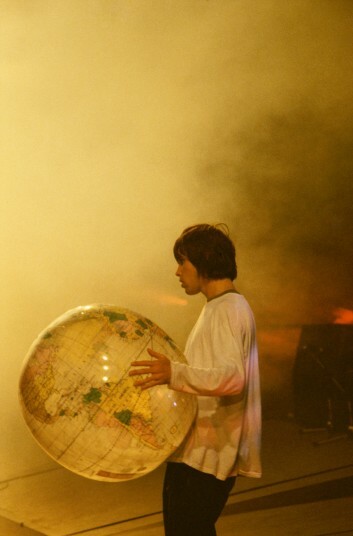 The book is printed on high quality silk paper stock, featuring over 250 never before seen images of The Stone Roses. It includes live photos from Spike Island, Glasgow Green, behind the scenes photos and intimate studio shots. Each volume includes a 10x12" individually signed print and texts by Dennis Morris and Luke Brainbridge. Limited to 1000 copies, it is available from July 2012 for £295. I asked Dennis if he could talk us through five photographs of his choice from the collection. 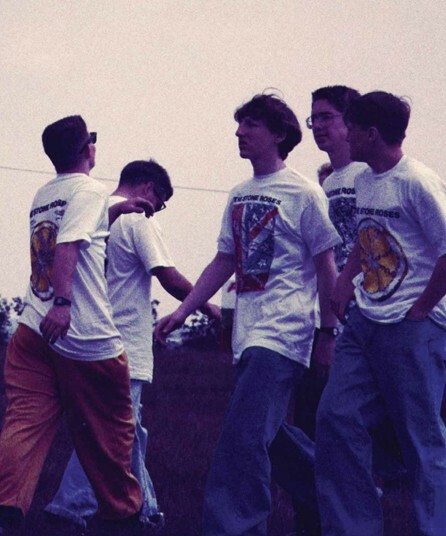 "Spike Island was the very first gig I did with them. It had the same feel as Woodstock. People just descended in their thousands on this place. It was the place to be - everybody was drawn there. There was an incredible atmosphere. The crowd was really young. It was the last great movement of its time. It had the same effect that punk had on an earlier generation. Everybody came together, and moved together. They had the same look and the same ideology." "Spike Island wasn't a very nice place - it was the pits. The PA was too small for the size of the crowd. They were packed in like sardines. There were no big screens. As a gig, in terms of sound, it wasn't the best they did, but the performance and the atmosphere was absolutely electrifying. The vibe from the stage filtered all the way back. There was a swarm of people moving in tandem to the music. It was incredible." "Ian's voice was quite gauzy on top of the other instruments. It was daunting for them at first when they saw that crowd but his charisma overcame the nerves. He hasn't got the greatest voice in the world, but he can carry it off. All Ian had to do was walk out on the stage, do his little swagger, say 'Alright' to the crowd and that was it - everybody was with him. He knew he had this powerful band behind him and that is what kept it all together. 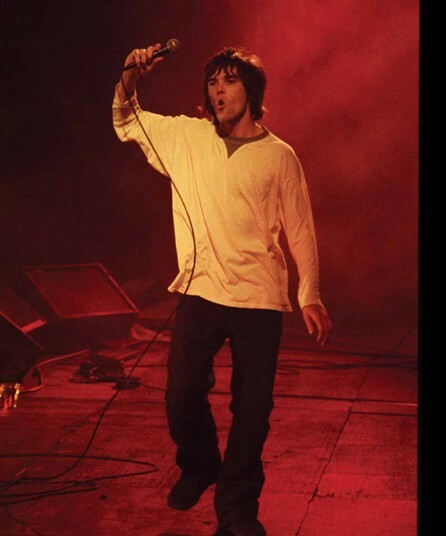 That is what the fans got from him and what influenced people like Liam Gallagher." "One of Ian's friends had blown up the globe and threw it on stage to him. He just held it for a moment and then it was gone. It was just one of those magic moments that flitted by but I managed to get the picture and it became this iconic shot." "More people turned up at Glasgow Green than could get in - there were fans queuing outside the gates. 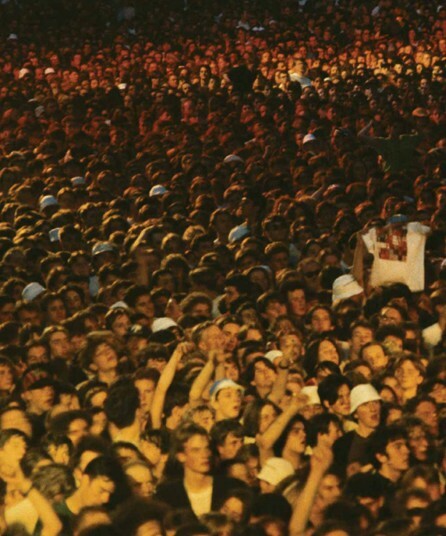 The whole thing was oversubscribed because the band hadn't worked out how big it was going to be. Thousands turned up and couldn't get in. But Ian and the band were still accessible. They didn't hide away in their caravan. They were walking around, meeting the fans. I think the kids couldn't believe it."